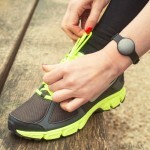 Which one is the best Misfit Fitness Tracker? Is is any good? And who is it made for? Does it fullfil your needs or would you need to choose another one? Find out all of the above and way more in the articles below! We have put for example the misfit shine to the extreme test. Might it be the best activity and fitness tracker out there in 2018? Misfit as a company was founded in 2011 and is currently owned by the Fossil Group besides wearables they specialize in home automation. Their activity trackers are quite unique in design.